Neruby application support services offer access to the extensive skills and expertise accumulated over years of hands-on projects and consulting. 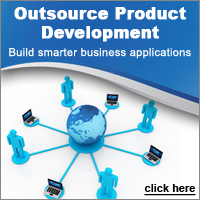 Our professionals help organizations implement and run all kinds of middleware, databases and Web applications. We help you design and build the right solution, integrate applications and run them efficiently. We help you design and build the right solution, integrate applications and run them efficiently. We offer a range of application and IT infrastructure support, tailored to your needs - we can support an entire suite of systems or a single business-critical application, such as a website. We also offer service transition from onsite to offsite, offshore or dual shore services. Neruby application support services offer access to the extensive skills and expertise of oil analysis professionals for help implementing and running oil analysis test services. We help you choose the correct products, build the right solution, and integrate systems into your current processes. High quality application support is critical to not only protecting your investment but also a key success factor in realizing a faster return on your investment through optimized productivity and utilization. Our application experts can help direct you through the solutions that we provide please contact us and let us know how we can help. Contact us today to know how!